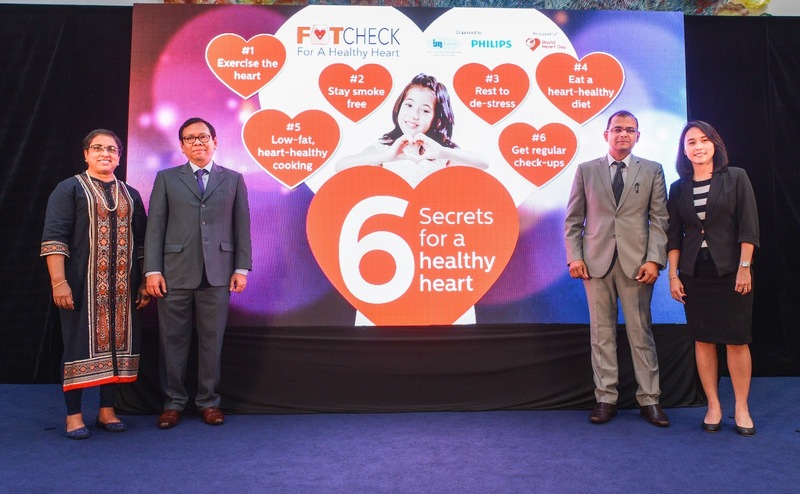 Institut Jantung Negara (IJN) and Philips Malaysia are collaborating in the FATCHECK For A Healthy Heart community education programme – with the unveiling of the ‘Six Secrets for a Healthy Heart’ campaign for three consecutive years. The campaign is held in support of the World Heart Federation (WHF)’s annual World Heart Day celebration on 29 September, which seeks to increase awareness on cardiovascular diseases. Do you know unhealthy lifestyle is the major cause of heart attacks and strokes? According to the World Heart Federation (WHF) and the World Health Organization (WHO), heart diseases remain the number one cause of death globally with an estimated 17.7 million deaths in 2015, representing 31% of all global deaths. Likewise, in Malaysia, diseases of the circulatory system make up the number one cause of death in Malaysia, comprising 27.7% of all deaths in private hospitals and 22.77% of all deaths in Government-run hospitals in 2015. So sad to see the statistic keep increasing every year in Malaysia. “With many Malaysians at risk of developing heart disease, we need to urgently address this issue. The first thing people usually assume is that to achieve a healthier life, we need to change our choice of food and drinks. While that may be true, we also need to change the way we live. The WHO has identified several behavioural risk factors which contribute to cardiovascular diseases (CVD) such as tobacco use, unhealthy diet and obesity, physical inactivity and harmful use of alcohol. That’s why the FATCHECK For A Healthy Heart programme this year has taken the approach of getting the public to take their health into their own hands with our six simple secrets to a healthy heart,” said Datuk Dr Aizai Azan Abdul Rahim, Chief Clinical Officer and Senior Consultant Cardiologist at IJN. In line with this, the ‘Six Secrets for a Healthy Heart’ campaign has produced an advocacy video and will be mounting a series of educational social media posts to continue increasing the community’s awareness about cardiovascular diseases and the impact on Malaysians. The educational video shows the six life changing ways to lead a heart-healthy lifestyle which reflect the behavioural risks identified by the WHO. According to Mary Easaw, Chief Dietitian of IJN, the key to heart-healthy eating is a balanced diet in moderation, and with variety. A high-fat diet is particularly harmful because it can contribute to excessive weight, high cholesterol and high blood pressure – all of which can lead to a heart attack. “Telling someone to forgo their favourite deep-fried dishes is a challenge. 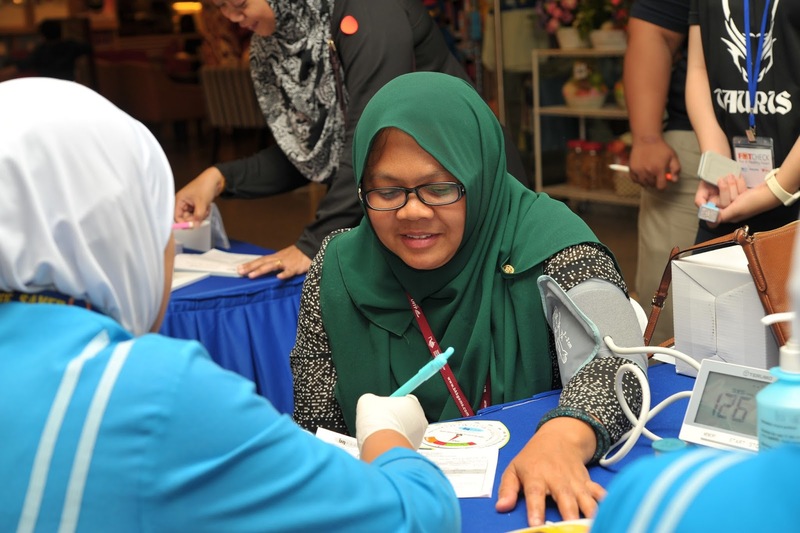 This is why we are glad to collaborate with Philips Malaysia once more on the FATCHECK programme to advocate low-fat cooking using the Airfryer as one of the six ways one can practice a heart-healthy lifestyle,” she said. As part of the campaign, IJN and Philips Malaysia will also be releasing a series of cooking videos featuring recipes created by IJN’s team of dietitians to educate Malaysians on how to prepare their heart-healthy meals without compromising on taste. Having begun in 2015, the first FATCHECK initiative featured IJN’s staff advocating low-fat, heart-healthy cooking with recipes that were compiled into a cookbook titled, “Heart-y Meals: Smart Guide To Guilt-Free Cooking”. In 2016, the programme demonstrated the ease of integrating low-fat heart-healthy cooking into a healthy family lifestyle with a heart-healthy cooking competition open to the public. This year, the FATCHECK For A Healthy Heart programme urges Malaysians to take personal responsibility for their health with six holistic ways to lead a heart-healthy lifestyle. For more information on the FATCHECK For A Healthy Heart programme, visit www.fatcheck.my or www.facebook.com/MyFatCheck.